On April 12, Trump signed an unexpected executive order that weakened existing rules on clean air policies, essentially giving companies a free pass to pollute. By giving more influence to industry-backed research over peer-reviewed public health research and by diminishing oversight and accountability, the executive order will undoubtedly put more pollution into the air, particularly harming poor communities and people of color. 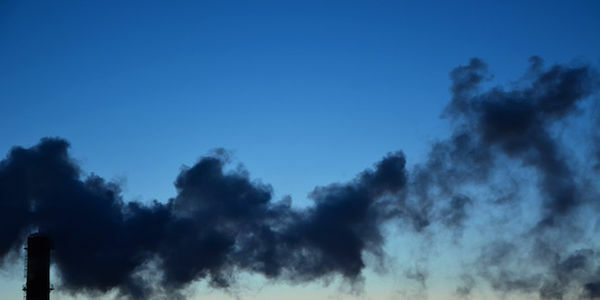 According to an EPA study, people living in poverty and people of color are exposed to significantly higher levels of particulate matter pollution. An NAACP study found that black communities in particular are exposed to air that is 38 percent more polluted than air in white communities. With polluting floodgates now open, thanks to Trump, these communities will be impacted even more. Trump claims that the changes will improve the economy, but companies that can't afford to follow common sense rules that protect the environment do not deserve to be in business. Protecting our planet is non-negotiable. Since an executive order is not the same as legislation passed by Congress, there's nothing stopping Trump from undoing this decree. Let's make sure Trump knows we're watching how he's gambling with our clean, breathable air in favor of corporate interests. It's not too late to make sure the existing air standards stay in place for the benefit of all Americans. Sign on to say that you want to protect our air.